Right now, we, here at Moore’s RV, have travel trailers for sale for under $15,000! With these amazing prices, being able to take your family on the RVing vacation of your dreams has never been so easy! Take a look at the models we have available, and find the one that fits all of your needs. Find some amazing travel trailers for under $15,000! 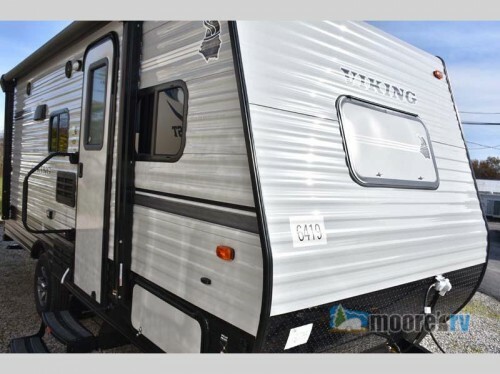 There are a few Viking Ultra-Lite 17BH models on our lot priced for just $13,488! Enjoy a front double bed and a set of bunks at the rear, perfect for a family of five. Plus, with a full galley kitchen and a toilet and tub bathroom, you will have everything you need right at your fingertips! Or what about the Viking Ultra-Lite 17FQ? This floorplan is the ideal model for a couple who wants to get away in comfort together. You’ll have all of the comforts of home with a queen master bed, kitchen, dinette, and complete bath. And for the low price of just $12,557, taking one home with you will be incredibly affordable. You’ll love our affordable, gently used travel trailers! We also have nice, lightly used modes such as this Keystone Hideout 210LHS. 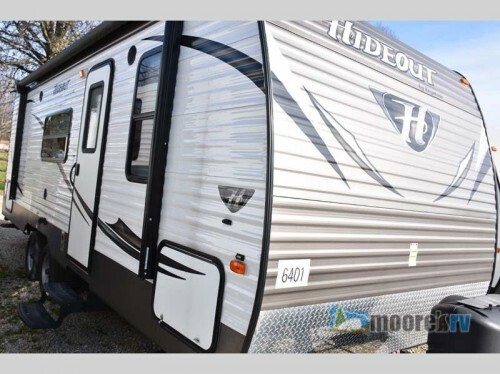 Priced at only $11,574, you can get a spacious design with enough room to sleep up to six people with a queen master, set of bunk beds, and a convertible dinette set! Save a ton while still getting a family friendly camper! With all of these travel trailers for under $15,000, starting the RVing lifestyle is just around the corner! Contact us or stop by our location today to learn more about these offers as well as the other high quality travel trailers for sale on our lot!